Sunday Supper is all about Back to School and we have you covered for meal planning and ideas. 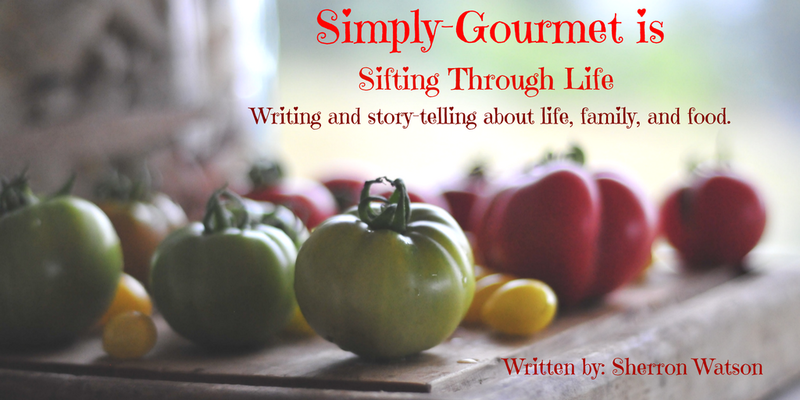 See the list with links and recipes at the bottom of this post. Ah, back to school is right around the corner for us. Maryland officially begins school next week. BUT, psst.... we start when we want too. Well, kind of. Our school year is 180 days and we make sure that we keep records and that our kids are "doing school" by the book for 180 days but it also means we get to learn what we want and visit lots of places. Field trips are the best! We homeschool our kids and love the freedom that this brings to our family. We start late because we go further into the summer months. In Maryland many of the local history locations, living farms, and towns host homeschooling functions. We try to catch a few of these so that Isabella can get some "hands on history" to start our new year. This year we will be heading down to Williamsburg, VA to learn about the American Revolution and then to our local Renaissance Festival to learn about this particular time in history. This is one of the many reasons why I LOVE to homeschool. Our lunches are a bit different because I don't have to get up early each morning and pack a lunch for my kids but that does not mean we don't have fun when lunch time comes around. We find ourselves going to parks, camping, hiking, site seeing or enjoying our friends. These are all reasons for us to pack fun lunches. Bento Boxes are fun lunches in my opinion. I love Bento Boxes. 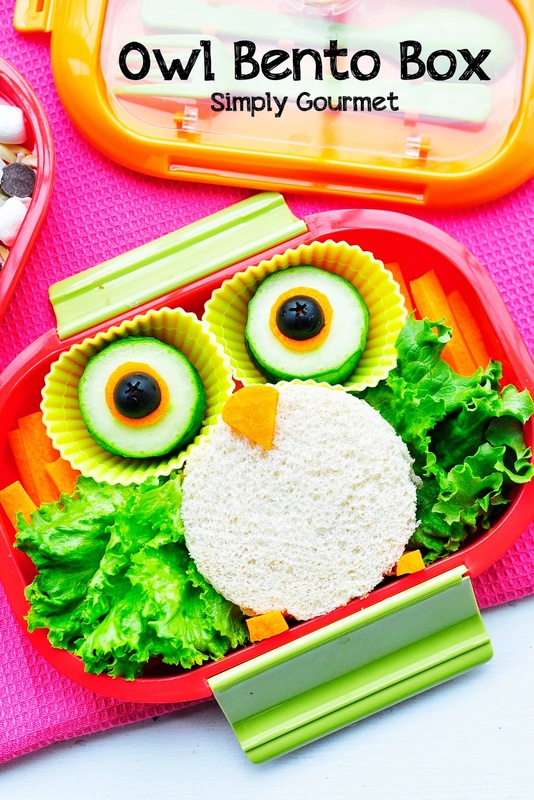 This Owl Bento Box is super easy and Isabella gets a real "HOOT" out of opening the sandwich tray. This particular bento box is stacked. I love the variety that is available when selecting a Bento Box. I visit our local H Mart in Catonsville. They have a huge selection of fun inserts (I am using the reusable cupcake holders), little sayings on sticks, cute picks to decorate with and a selection of boxes to choose from. Pinterest is filled with fun ideas and food suggestions to use in your next Bento Box. This idea of the owl was easy and something my kids could assemble and would want to eat. It took me all of 3-4 minutes to make it. It took me back to when my kids loved Winnie the Pooh. Owl was one of my favorite characters. I think because he loved to learn, loved to read and he lived in a tree house. I want to live in a tree house someday. Want to know how I did it? See the instructions below and enjoy your next fun Bento Box. 1. Prepare all of your items. Cut the carrot sticks for the feet, the triangle for the beak, the circles for the eyes. Slice the cucumbers and halve the black olive. Tear the lettuce and stack them to create the leafy wings and feathers of your owl. 2. Make your sandwich using the bread, meat and cheese. Using a large circle cookie cutter, cut the body. 3. Assemble your owl using the picture as your guide. Instruct you children or husbands (he he he--oh that would be funny) to add the lettuce to the sandwich when they are ready to eat their owls. 4. Ta-Da--you're done with the owl. Find other healthy snacks to fill the cubbies in your Bento Box. I included fresh blueberries and a trail mix that I make at home. This is a HOOT!!!! I think children of all ages would love to have this! This has got to be the cutest lunch EVER! Love the owl! Thank Liz. I have decide I love doing Bento box lunches and want to try a few more for the kids. What a fun lunch! That owl is the cutest! 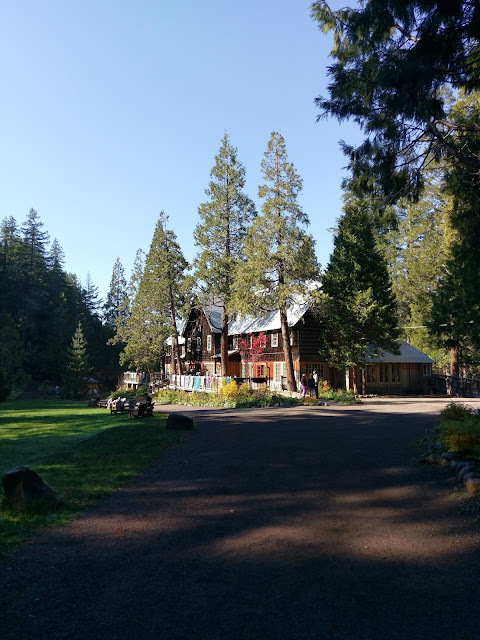 We homeschooled our daughter as well, and I agree, the freedom can't be beat. I feel so blessed to have traveled that homeschooling journey! Thank you! I love meeting other homeschooling Moms. Thanks for mentioning this. It has been a huge blessing for us too. This is so adorable and FUN! How divine is this, I love it and so would my daughter!!! Thank you Tara. Isabella love the surprise. I hope your daughter enjoys it if you get around to making it. That bento is SO cute! 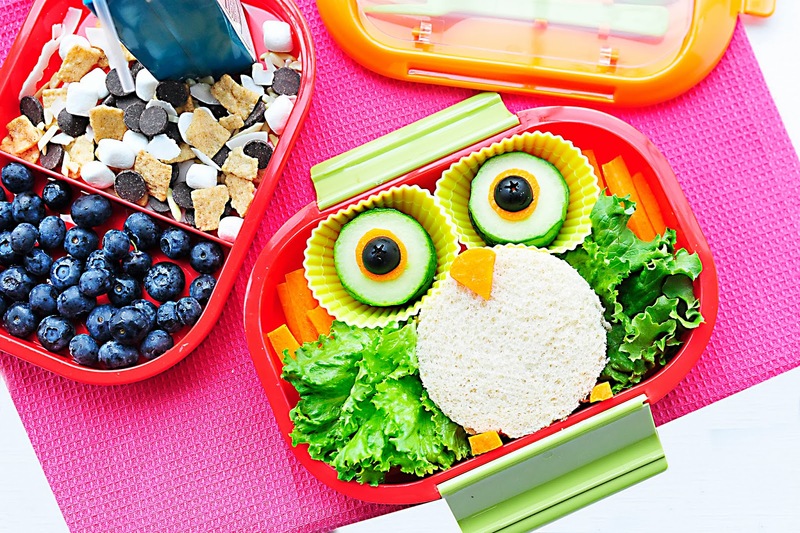 I'd love my lunches to be that adorable. LOL--Thanks Shannon. Me too! I grew up with the old stand by of pb&j. I want you to make this bento box for me. Who needs kids to have such a fun lunch like this. LOL I agree it is cute for anyone at any age. Thanks for your comment Marlene. This is the cutest thing I've ever seen! Thanks for the great idea! We visited D.C. and Maryland a few years ago when my sister lived there. It was amazing, so much history and so beautiful. 5 days wasn't nearly enough to see it all. I live in a melting pot of information and diversity. For these reasons, we love it! I can't visit enough historical sites to fill my need to learn about this great area. Thanks for the comment. Ahhhh - this bento is seriously TOOOO cute!!!! Sooo cute, Sherron. Of course, I've pinned your fun creation. Thank you! We do have a fun time. So super cute!I love the idea and know for sure that my son would be thrilled to see his lunchbox like this :) Thanks for the inspiration! This is the cutest thing I have ever seen. I love owls! I wish I had a kid to make lunch for haha I would totally do this! These are so cute! I know any kid would love to find them in their lunchbox! OMG that is adorable! I wouldn't want to eat lunch! Almost too cute to eat, Sherron! I love these! Too cute! !